Resource Center Finding Treatment for Xanax Abuse How Long Does It Take to Detox from Xanax? Xanax, originally called alprazolam, is a popular benzodiazepine (benzo) commonly used to treat anxiety disorders and panic disorder. This medication binds to the GABA-A receptors in the brain, causing sedative, hypnotic, and anticonvulsant effects. Alprazolam was first released in 1981, and within a few years, Xanax became a “blockbuster drug.” In 2006, it was declared the most misused benzodiazepine on the market. The high potency and fast-acting nature of Xanax give it a significant potential for dependence and addiction. With enough use, there is a high potential for an individual building up a tolerance to the drug as the brain adjusts to the constant presence of the substance. Once this has occurred, stopping intake of Xanax results in withdrawal symptoms as the body goes through the detoxification process. No matter what the situation, detox is not pleasant, especially during the peak of symptoms; however, there are treatments available to make the process easier. With medical detox, withdrawal symptoms can be kept to a minimum and support is continually available. Due to the potential of life-threatening symptoms during withdrawal, medical detox is necessary for those suffering from benzodiazepine dependence. There are two factors to withdrawal when it comes to benzos. The first is the initial set of symptoms, referred to as acute withdrawal, which can be severe and last for 10-14 days, though some sources list the time period as anywhere from 5 to 28 days, with symptoms peaking at two weeks. This is more likely for long-lasting benzos, however. Because Xanax is a fast-acting drug, the 10-14 day timeline is much more likely. This often includes what’s referred to as rebound anxiety, which can appear in as little as 6-8 hours after the last dose and tends to peak after a couple of days. When an individual takes Xanax for anxiety and then stops intake, intense anxiety is often experienced that is worse than it was before treatment with the medication started. This can last for weeks or even months, and often needs to be treated with another type of medication. Symptoms that last for weeks or more are classified as post-acute withdrawal syndrome. The most severe symptoms usually occur when an individual is on a high dose of the medication and abruptly stops all intake. It’s much safer to gradually wean a patient off a drug like Xanax – doctors will rarely recommend stopping the use of a benzo all at once. Withdrawal from benzos is also unique in the fact that symptoms tend to come and go during the detoxification period, rather than clearly peaking and tapering off like with other drugs. Withdrawal symptoms from Xanax can even appear if the individual has been prescribed the medication and followed the directions for intake carefully. They can also be more severe if the individual has an underlying or co-occurring disorder that’s more severe than a simple anxiety disorder, such as schizophrenia or bipolar disorder. Individuals with seizure disorders are also at risk for life-threatening symptoms. Many of these were experienced in patients with no prior psychiatric history and took 14 months to resolve. The most common protracted withdrawal symptoms are simply anxiety and insomnia. These can occur even for those who are weaned off Xanax, especially if nothing else is done to treat their anxiety disorder. There are plenty of medications available to treat the symptoms of acute withdrawal from drugs like Xanax, even during peak withdrawal. Post-acute withdrawal is more difficult to treat and often requires an individualized approach. 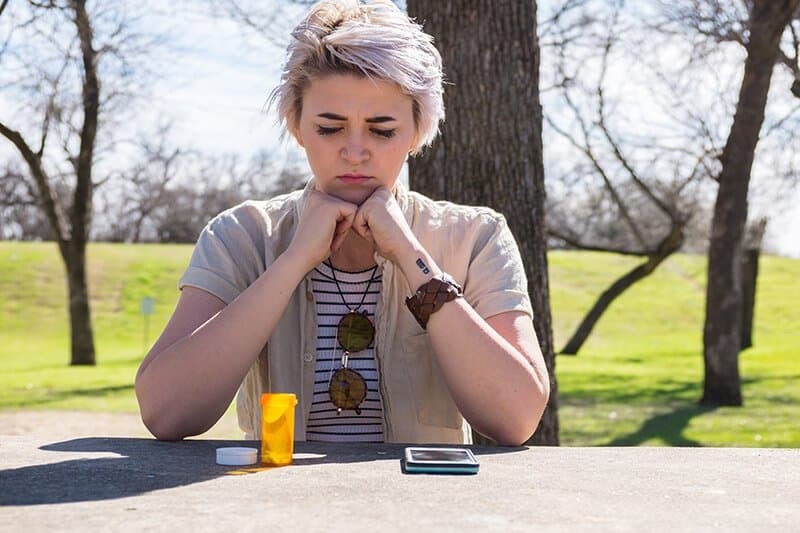 To combat anxiety and depression in individuals going through Xanax withdrawal, many medical professionals prescribe nonaddictive antidepressants, such as selective serotonin reuptake inhibitors (SSRIs). These antidepressants are considered to be safer than benzos and are not habit-forming, nor can users develop a tolerance to them. The only problem is that SSRIs can often take up to six weeks to go into full effect and therefore may not be suitable for acute symptoms. They also produce their own withdrawal symptoms, including possible suicidal urges, if intake is stopped suddenly. Another drug commonly used to treat anxiety patients with substance abuse issues is buspirone, an anxiolytic psychotropic drug that is not related to either benzos or barbiturates (another addictive anti-anxiety drug class) and does not carry the same risks of dependence and withdrawal. It’s been approved for the short-term treatment of anxiety, taking only 2-3 weeks to reach full effect, making it even more ideal for treating rebound anxiety in those detoxing from Xanax. 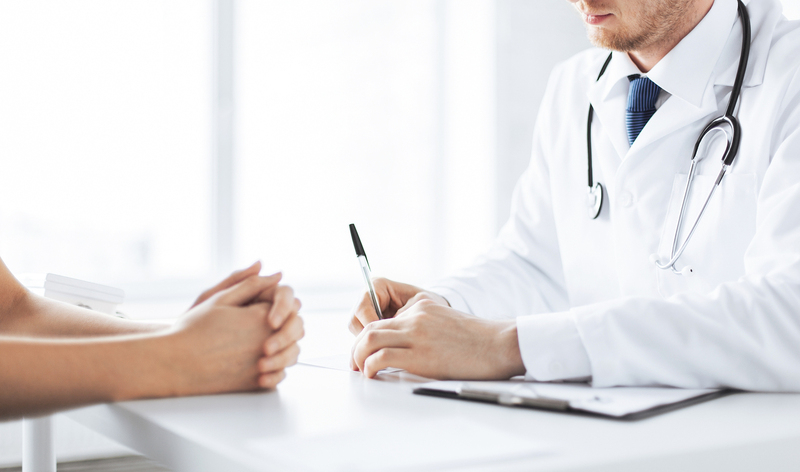 When it comes to post-acute withdrawal syndrome, it can take a long time to figure out what kind of medication will be effective in controlling anxiety and depression. Some medical professionals believe that the brain simply needs a lot of time to adjust, especially after heavy use of drugs like benzos. These drugs change the chemistry of the brain and can even change its very structure. Sometimes, it takes a lot longer than a couple weeks for the organ to heal itself. Long-term users are at the greatest risk for serious damage. One study of 4,425 long-term users of benzos found that 75 percent of them were markedly ill to extremely ill. There is one medication that’s currently being tested for its usefulness in treating symptoms of irritability and aggression in those with post-acute benzodiazepine withdrawal. A recent study published in Pharmacology Biochemistry and Behavior found that in patients with this syndrome who were treated with flumazenil, a drug often used to treat benzo overdose, aggression and hostility were reduced. It’s thought that this drug works by attaching to the same pleasure center receptors in the brain as benzos like Xanax, producing a similar effect. However, this also blocks the actual benzodiazepine from working, which can cause rapid detoxification in those experiencing acute symptoms, and it should be avoided by anyone who has recently taken a benzo. After detox is complete and the acute withdrawal symptoms have faded, it’s highly recommended for individuals to seek additional treatments beyond medication. Comprehensive treatment that includes therapy and addiction support groups greatly reduces the chance of relapse and can help those who do relapse get back on track. Overcoming addiction is about much more than detox and getting through withdrawal. It’s a lifelong process of healing and self-discovery.